Worried by vast number of maternal, newborn and child deaths in Nigeria especially in Kaduna state in Northwest Nigeria, the newly inaugurated group of professional journalists drawn from electronic, print and online media called Child Spacing Media Forum met on Friday to chat way forward. The Forum, which was inaugurated on March 1 2018 by Development Communications (Devcoms) network with support from Nigerian Urban Reproductive Health Initiative (NURHI) believed that, Kaduna State needs to move up from where it is presently by way of creating awareness campaign on benefits of spacing births or pregnancies among the locals and use their voice to demand improved funding for child spacing commodities by the policy makers especially now that there is lesser available funds globally. It is important to add that, effective child spacing alone according to researches can reduce maternal death up to 40 percent. Presently, Kaduna is loosing 814 out of every 100,000 livebiths which is unacceptable. 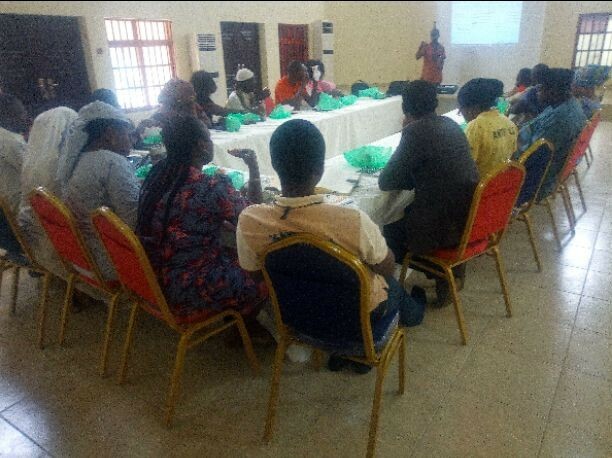 It was against this brief background that, the forum developed a work plan during its meeting held at I-Care Women and Youth Initiative’s Conference hall on Friday aiming at supporting the state government and other development partners working around child spacing in the state. Addressing the meeting on behalf of Devcoms, a Communications Expert, Mr. Iliya Kure, reminded the forum of its responsibility of impacting the society positively through unbias reportage. He was quick to inform them that, one of the ways to get that done was to come up with a road map for uptimum result which was accepted and developed before the meeting ended at 1:39 pm Nigeria time. However, the work plan developed by the forum is subject to conformity with mandate of NURHI which is one of the leading development partners working specifically on reproductive health in some states in Nigeria including Kaduna. Chairperson of the forum, Jacquline Adebija of a Kaduna-based FM station assured of the forum’s commitment at reducing maternal, newborn and child mortality rate, charging members to rededicate themselves to the cause. She assured NURHI and DEVCOMS and other development partners of the forum’s readiness and support as regard the child spacing advocacy, in view of the health and economic benefits it would contribute to the society.